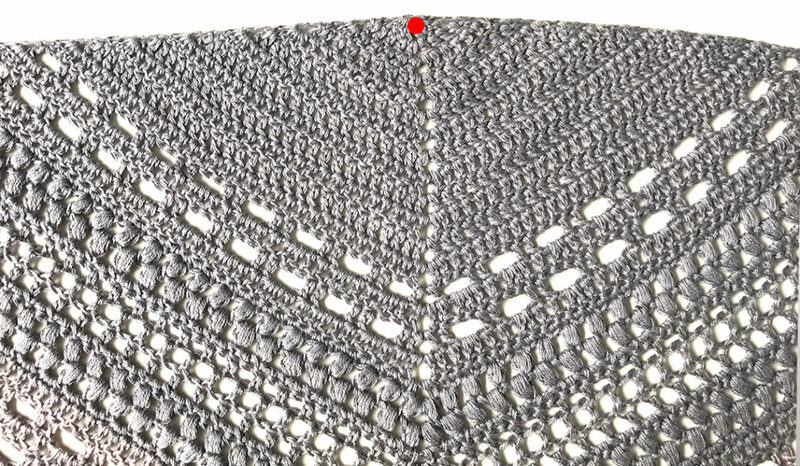 Below you can find the old pattern of my Bella Vita Shawl. Please notice that this is a previous version of the pattern which is updated on August 16. You can find the better, easier and updated version here. The pattern below will remain available for those who already started working on the older version and really need to take a look at the old pattern, but I highly recommend using the new one. – 1 Cottonfloweryarns cake, 3ply and 1000m. The yarn is from a German lady that sells on Etsy. She currently has free shipping worldwide, also to the USA. 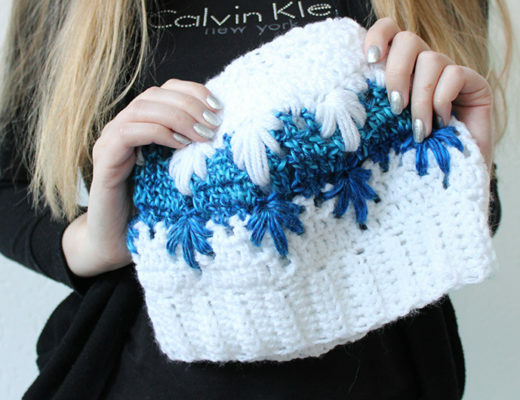 Below you can find a video showing you how to crochet the puff stitch. 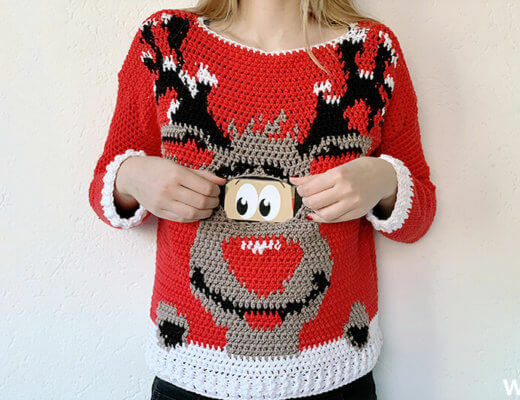 – Double crochet stitches above the chains are worked around the chains instead of inserting your hook through the loops. Row 16: Repeat row 14, but at the corner, make: 1dc in the last stitch before the corner, 1dc in the corner, ch 2, 1 dc in corner, 1 dc in the next dc. End: 2 hdc between last dc and starting chains of previous row, 1 hdc in second chain of previous row. End: 2 hdc between last hdc and starting chains of previous row, 1 hdc in second chain of previous row. End: 2 dc, 2 dc between last dc and starting chains of previous row, 1 dc in second chain of previous row. End: 3 hdc, 2 hdc between last hdc and starting chains of previous row, 1 hdc in second chain of previous row. End: 1 hdc in last stitch of previous row, 2 hdc between last stitch and starting chains of previous row, 1 hdc in second chain of previous row. Row 29: ch 3, 2 dc between the 1st and 2nd stitch of the previous row, dc till corner, 1 dc in corner, ch 2, 1 dc in corner. Row 30: ch 3, 1 dc between the 1st and 2nd stitch of the previous row, *ch 2, skip 2, 2 dc* till corner, at the corner: 1 dc, ch 2, 1 dc, 2 dc, *ch 2, skip 2, 2 dc* till end. 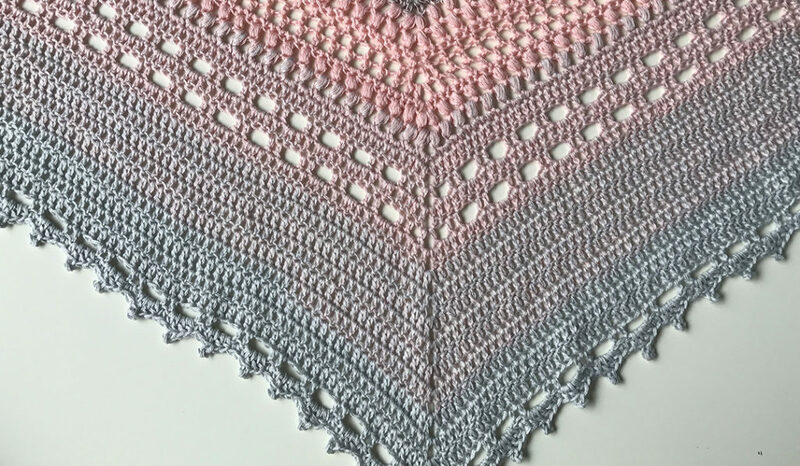 If you want to make your shawl longer, continue making the rows you just made. Row 76: ch 2, 1 sc in same stitch, 1 sc in next stitch, *hdc, dc, picot on the dc, dc, hdc. 1sc in next stitch, skip 1* repeat till corner, at corner: 1 sc, ch 3, 1 sc. *hdc, dc, picot on the dc, dc, hdc. 1sc in next stitch, skip 1* repeat till end. End: 1 sc between last stitch and starting chains of previous row, 1 sc in third chain of previous row. 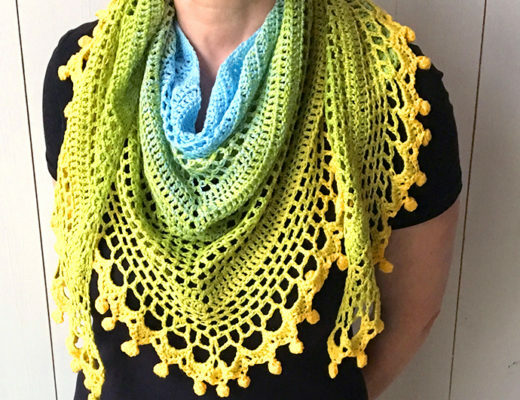 And your beautiful shawl is done! Have fun and don’t forget to show us your pictures! Tag me on Instagram @wilmawestenberg. 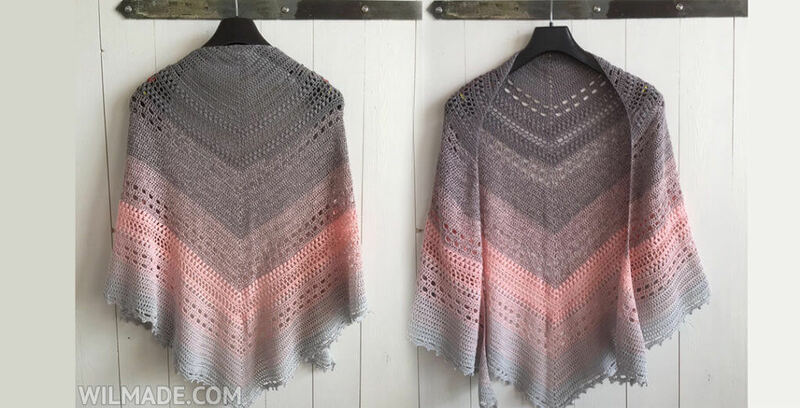 This shawl resembles the “find your fade” trend that is so attractive.